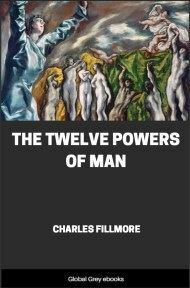 A self help book that utilises Christian thought, The Twelve Powers of Man is a metaphysical look at twelve expressions of the divine power inherent in each of us. Expressions such as love, faith, strength, zeal, and imagination are discussed. JESUS prophesied the advent of a race of men who would sit with Him on twelve thrones, judging the twelve tribes of Israel. This book explains the meaning of this mystical reference, what and where the twelve thrones are, and what attainments are necessary by man before he can follow Jesus in this phase of his regeneration. Regeneration follows generation in the development of man. Generation sustains and perpetuates the human; regeneration unfolds and glorifies the divine. 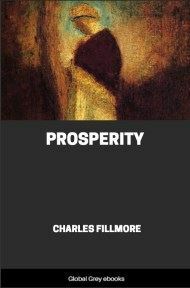 It is not expected that beginners in the study of metaphysical Christianity will understand this book. It deals with forces that function below and above the field of the conscious mind. 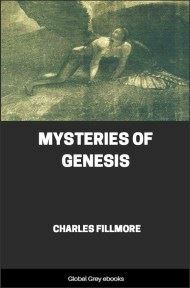 The average religious thinker knows nothing about the subconscious mind and very little about the superconscious; this book presupposes a working knowledge of both. 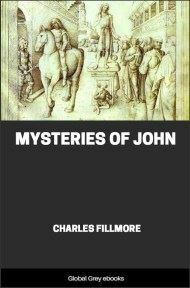 This book aims to clear up the mystery that ever envelops the advent, life, and death of Jesus. To the superficial reader of the Gospels His life was a tragedy and, so far as concerns the kingly reign that was prophesied, it was a failure. Yet those who understand the subtlety of the soul and supremacy of Spirit see that Jesus was conqueror of a psychic force that was destroying the human race. Jesus was the star actor in the greatest drama ever played on earth. This drama was developed in the celestial realm, its object being to inject new life into perishing men. The full significance of this great plan of salvation cannot be understood by man until he awakens faculties that relate him to the earth beneath and the heavens above. It had long been prophesied that the time was ripe for the advent on this planet of a new race, and there had been much speculation as to the character and advent of the superman. 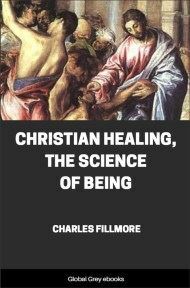 Herein is set forth the metaphysical idea of the spiritual quickening of man on the human plane and his transformation into the divine: not by a miracle or the fiat of God, but by the gradual refinement of the man of flesh into the man of Spirit. As Paul taught, "This corruptible must put on incorruption, and this mortal must put on immortality." Jesus was the "first-fruits" of those who are coming out of the mortal into the immortal. He was the type man, the Way-Shower, and, through following His example and taking on His character as a spiritual-minded man, we shall come into the same consciousness. 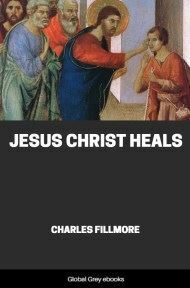 Spiritual discernment always precedes demonstration, consequently more is taught in this book as a possibility of attainment by man than has been demonstrated by any man save Jesus. Those who feel that they are ready for the great adventure in the attainment of eternal life in the body here and now should not be deterred because there are no outstanding examples of men who have risen to this most exalted degree. Through mental energy, or the dynamic power of the mind, man can release the life of the electrons secreted in the atoms that compose the cells of his body. Physical science says that if the electronic energy stored in a single drop of water were suddenly released its power would demolish a six-story building. Who can estimate the power stored in the millions of cells that compose the human body? The method of release of this body energy and its control are mystically taught by Jesus. He was transfigured before His apostles, "and his face did shine as the sun, and his garments became white as the light." Before His crucifixion He had attained such mastery over His body cells that He told the Jews that they might destroy His body and "in three days" He would "raise it up." He demonstrated this in the resurrection of His body after it had been pronounced lifeless. When He disappeared in a cloud He simply unloosed the dynamic atoms of His whole body and released their electrical energy. This threw Him into the fourth dimension of substance, which He called the "kingdom of the heavens." The dynamic energy that man releases through prayer, meditation, and the higher activities of his mind is very great, and if not controlled and raised to the spiritual plane, may prove a source of body destruction; if carried to the extreme, it may even prove a cause of soul destruction. "Be not afraid of them that kill the body, but are not able to kill the soul: but rather fear him who is able to destroy both soul and body in hell." This one who is able to destroy both soul and body in Gehenna is the personal self or selfish ego that is in man. The electronic energy in man is a form of fire, which is represented by Gehenna. This electronic fire must be used unselfishly. If used to further the selfishness of man it becomes destructive, through the crosscurrents that it sets up in the nervous system. We do not encourage those who still have worldly ambitions to take up the development of the twelve powers of man. You will be disappointed if you seek to use these superpowers to gain money (turn stones into bread), control others ("the kingdoms of the world . . . All these things will I give thee"), or make a display of your power ("If thou art the Son of God, cast thyself down"). These are the temptations of the selfish ego, as recorded in the 4th chapter of Matthew, which Jesus had to overcome, and which all who follow Him "in the regeneration" have to overcome.